As an online marketer, you have to follow the Google guidelines without any shortcuts to achieve success in SEO. Although the instructions are more or less for the long-term, periodical changes do happen as Google continuously tries to improve upon the user experience by offering better quality content. 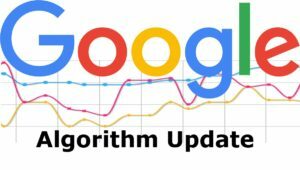 Changes in algorithm also known as updates keep on occurring as Google tries to match search results better with user intent. To make most of what Google offers because it is the only way to SEO betterment, you must tune to the updates as quickly as possible. It would ensure that you follow the ultimate white hat guide in SEO by complying with the laid down rules that define the best SEO practices. SEO takes time to give results, and it is not possible to correctly envisage how much time it can take. Moreover, the results might not make you happy, and you have to make many improvements that could further extend the time for giving the desired results. SEO is a lengthy process that you have to implement with patience. Since many marketers would like to get quick results, they fall into the trap of cutting corners for immediate gains and try to beat Google at their own game by tweaking the rules to outsmart it. Such acts considered as black hat practice is highly condemnable and attracts the ire of Google who comes down on erring websites heavily and penalizes it. It can be a massive blow to the SEO campaign. What prompted the significant updates? Google has always focused on backlinks to judge the quality of websites and used backlinks as signals of quality. Since the quality of sites has a link to its ranking by search engines, backlinks have always held the center stage of SEO. In the earlier stages, the emphasis was more on the number of backlinks and not so much on the quality of links. People were eager to collect as many backlinks as possible, not caring at all about its quality and the manner of acquiring it. It led to rampant spamming and unethical SEO practices (black hat practices) that caught the attention of Google that lost no time to arrest the decadence of SEO culture. Thus started a series of major Google SEO updates with Panda, Penguin, and Hummingbird, and the list continues. The Panda update launched in February 2011 is the inaugural version of the primary algorithm updates that shook the SEO world. Never before did any update have such far-reaching impact on SEO. The purpose of the update was to arrest the spread of poor quality content that had become a concern for Google. The target was to identify websites with low-quality content and keep it out of the purview of search rankings. Sites that carried too many advertisements published duplicate content, and spammy content attracted penalties and debarred from indexing by search engines thereby preventing it from appearing in search results. Since 2016, Panda has been included in the core algorithm of Google search engines. Because of Panda, websites now carry quality content so that the information is authentic, useful and relevant for users. The quality does not depend on the text length and density but on the intrinsic value of content that users derive from it. Shallow and thin content with little insight is low in quality and needs improvement with substantial research. The Penguin update came close as the heels of Panda and launched in April 2012. It was an extension of Google’s drive to encourage websites to publish quality content. Since backlinks are signals that Google picks up to judge the authority and reputation of sites that it factors in ranking, the update aimed at weeding out spammy and poor quality backlinks. It marked the end of the days when only the number of links and not its quality qualified for earning good ranks in search results. Penguin targeted pages that contained poor quality links like those obtained from link farms and forced the websites to get rid of it by removing it or disavowing. The summer of 2013 saw the launch of Hummingbird update that aimed at improving the semantic search capabilities. The nature of search queries became conversational, and people typed long questions. Google introduced the update to respond correctly to such queries. The new algorithm would help Google to understand the intent and context of the query better. Search engines could now look beyond just matching keywords literally but capture the broader perspective of questions. Updates help Google to stay tuned to changes in user behavior prompted by technological advancements. The Mobile Friendly update of 2015 became a necessity to align searches with mobile devices, and we await more such updates in future.